No I am not a signed artist. I write my own songs and sing them. I write mostly Country ,some with a Folk feel to them.I have always been inspired by Patsy Cline,Loretta Lynn and the great women of Country Music. I have always loved music and discovered at 8 years old I could create poetry just out of the blue but it was actually friends and acquaintances who persuaded and coaxed me into creating my first album. I am a small town country girl, Country to the core.I write my own songs and sing them. I am an Indie artist leaving out all the middle men. 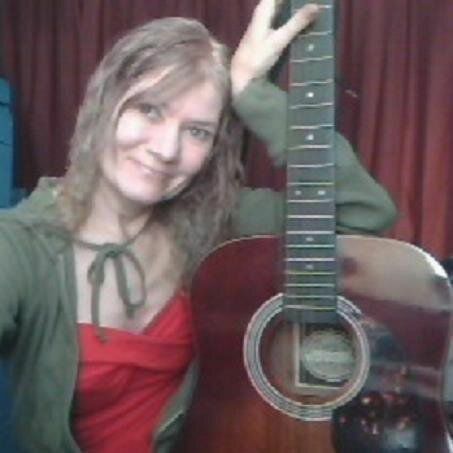 My Genres are Country and Folk music.Many people like what I create. Some of my lyrics are explicit but sometimes especially in a protest song strong words are needed to get the message across and to wake people up, make them listen, and act. I do not apologize for my lyrics as I create what I've experienced and what I feel. No one has to agree with me but don't condemn me either. I am a solo artist and an individualist. I've survived many hardships and I'm a strong willed person. I hate Bullying, Liars, Cheaters with a passion. her reason why she decides to make music, and biography and vision.